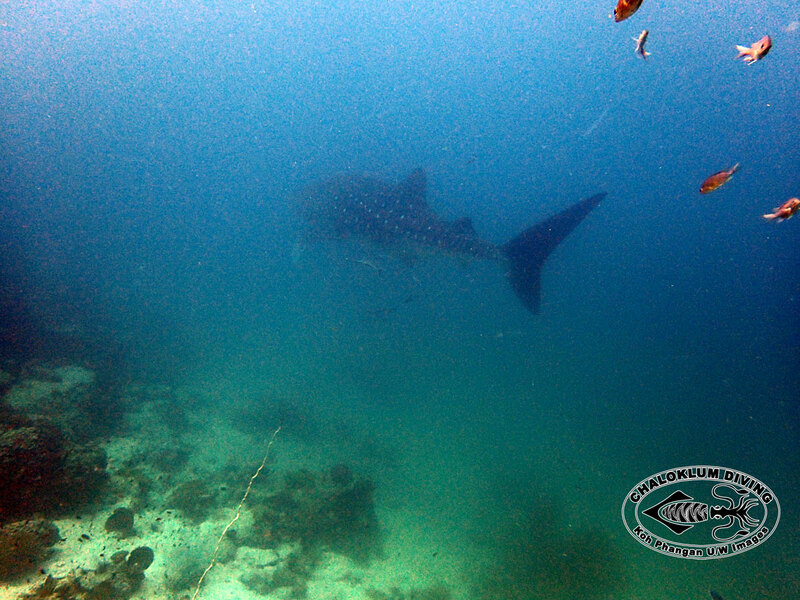 Koh Phangan information > Whale Shark at Marine Park ! After a somewhat shaky start this month we now have some great diving conditions – with real blue water diving and even the appearance of a big whale shark at Hin Yipon in Anthong Marine Park – plus a Whale Shark video from our Divemaster to prove it! We have had a couple of days break for the full moon party and Songkran celebrations on Koh Phangan – now the diving school team are back to work, mainly guiding fun divers – apart from Discover SCUBA Diving we are not so busy with PADI courses at the moment, if you are interested! And finally we held the first Chaloklum Diving “Sunset Trip” last week when the dive school staff, various Thai friends, plus Heinz, Angie and Michi’s parents went on a trial voyage – with great food, good company and an amazing sunset – we all enjoyed it very much!